I wish to travel to Amsterdam, Berlin, Milan, Paris, Venice and Vienna on my 11-15 days tour to Austria, France, Germany, Italy and Netherlands in the month of July. I am travelling alone. I am interested in Beaches, City Life, Heritage and Monument. I am looking for economy hotel with US$ 20 per night and should be in city center. Can you also arrange a direct, indirect flight for me in economy class. A travel plan for Paris, Amsterdam, Berlin, Vienna and Venice is ready for you! The cities chosen by you are among the best and the most visited cities of Europe and they are loaded with lots of exciting places to see that suits your interests as well. I would suggest you to skip Milan due to lack of time. I will try my level best to create an interesting itinerary for you so that it leads to an amazing trip of yours. There are many flight options available as per your trip, but I would suggest you to travel via Jet Airways and Lufthansa. The total budget of your flights from Vishakhapatnam to Paris, and return flight from Venice to Vishakhapatnam will cost 60, 998 INR per person. The flight from Vishakhapatnam to Paris will have two flight changes in between, DEL New Delhi, India and the other at MUC Munich, Germany. The flight no. 603 of Jet Airways will take off at 09:10 hours from Vishakhapatnam and will land in New Delhi at 11:30 hours. After waiting for thirteen hours and fifteen minutes you need to board flight no. 763 of Lufthansa. The flight will take off at 00:45 hours from New Delhi and will land in Munich at 05:30 hours. Further waiting for one hour you need to board flight no. 2226 of Lufthansa that will take off at 06:30 hours from Munich and will land at 08:05 hours in Paris. 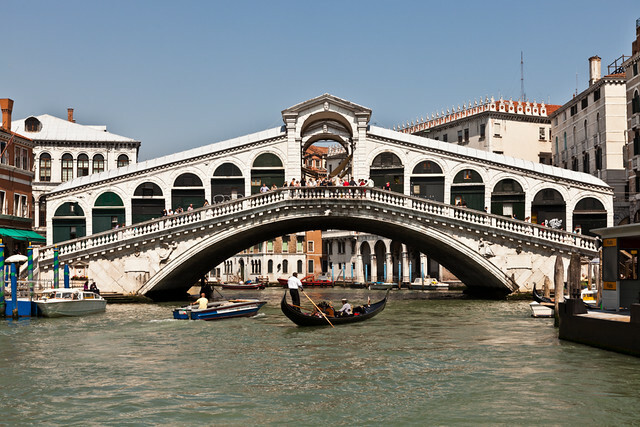 The return flight from Venice to Vishakhapatnam will also have two flight changes in between, one at	FRA Frankfurt am Main, Germany and the other at BOM Mumbai, India. The flight no. 331 of Lufthansa will take off at 19:120 hours from Venice and will land in Frankfurt at 20:45 hours. After waiting for sixteen hours and fifty minutes you need to board flight no. 756 of Lufthansa. The flight will take off at 13:35 hours from Frankfurt and will land in Mumbai at 01:05 hours. Further waiting for five hours and thirty minutes you need to board flight no. 979 of Jet Airways that will take off at 06:35 hours from Mumbai and will land at 08:40 hours in Vishakhapatnam. India is 4 hours and 30 minutes ahead of Paris, Amsterdam, Berlin, Vienna and Venice. The currency of the of Paris, Amsterdam, Berlin, Vienna and Venice is Euro. With this you can call it a day and head back to your hotel. After this you can head back to your hotel by the evening to rest as the next day you need to head to Amsterdam. Amsterdam is the known as the Dutch Capital of Netherlands which makes it the most important city of Netherlands. 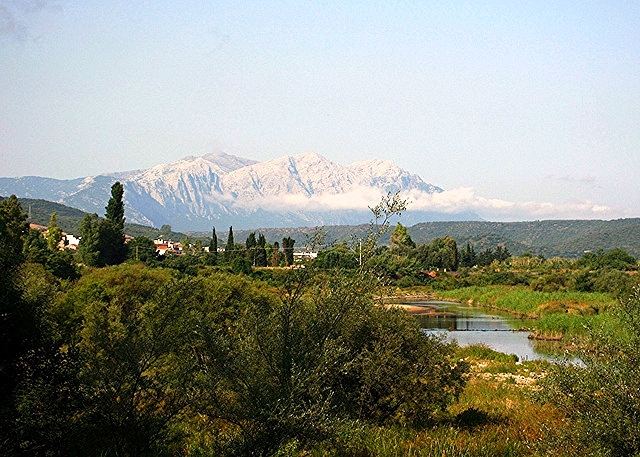 The city is loaded with many attractions and even accommodates some beaches. 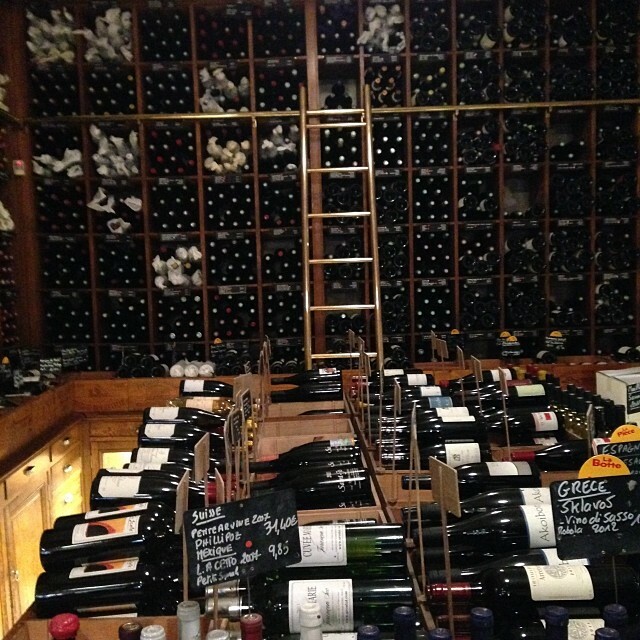 There are numerous options for hotels in Amsterdam varying from budget to luxury. Some of them are Bed and Breakfast Tulip Gallery, Bickersbed, Spiegelkwartier BampB and many more. For more options visit here. On the first day in Amsterdam you can visit Rijksmuseum, Heineken Experience, Oude Kerk, Vondel Park, Leidseplein and you can go for Canal Cruises. The Rijksmuseum is the known as the World’s famous national museum as it houses a great collection of paintings from the Dutch Golden Age. The key highlight of this museum is Rembrandt's Night Watch on display. The museum’s ticket costs nearly 12.5€ per person. 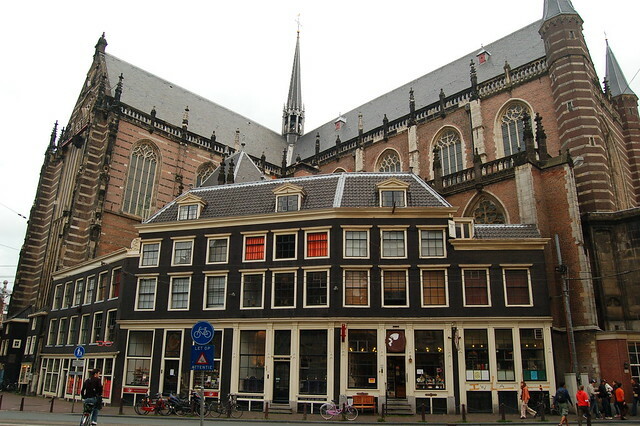 The Oude Kerk is the Amsterdam’s oldest building and the oldest parish church. The church is famous for its huge vaulted ceiling which is regarded as the largest in the Western Europe. A ticket to this building costs nearly 5€ per person. 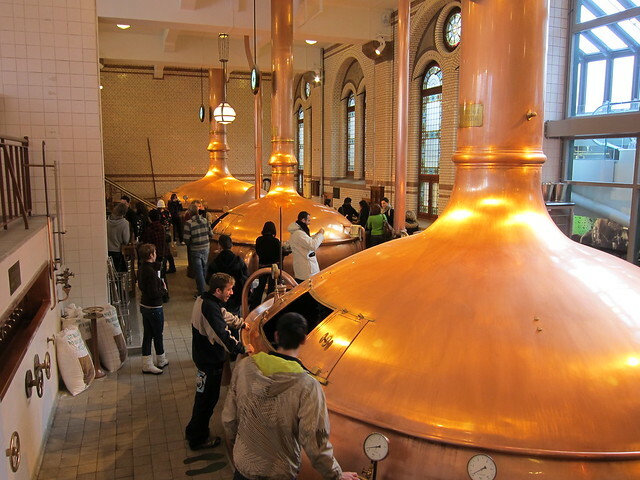 The Heineken Experience located in Amsterdam, is a historic brewery and corporate visitor centre for the internationally distributed Dutch pilsner, Heineken beer. 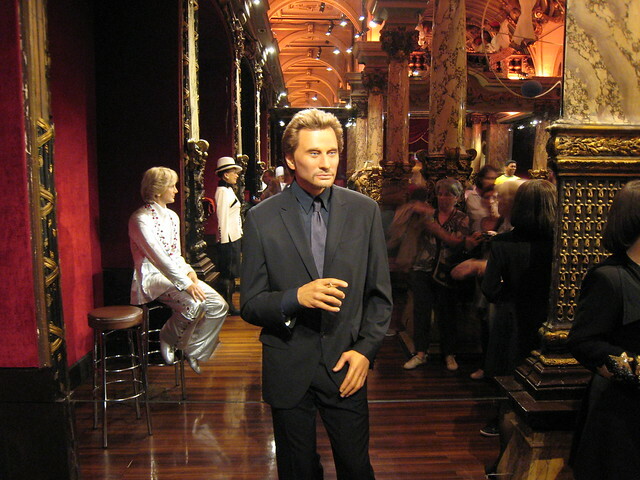 It houses a very amusing interactive museum which you will surely enjoy. A ticket to the museum costs 16 to 18 Euros. Vondel Park is a very famous public park of Amsterdam where residents as well as the tourists spend hours relaxing near its beautiful pond. 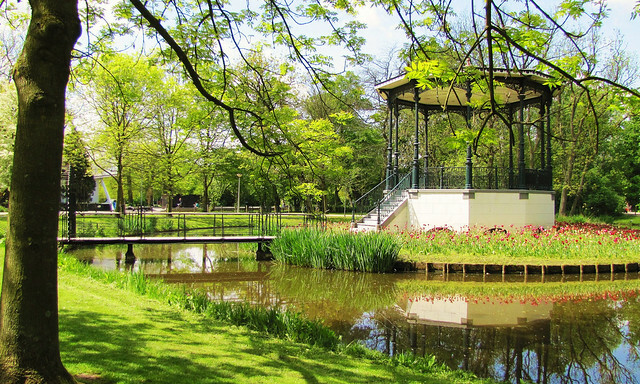 It has many play areas and an open air theatre that serves as a popular venue for concerts. A trip to Amsterdam is worthless without experiencing the famous Canal Cruises in Amsterdam. It’s the best way to experience the beauty of Amsterdam in an exciting way. 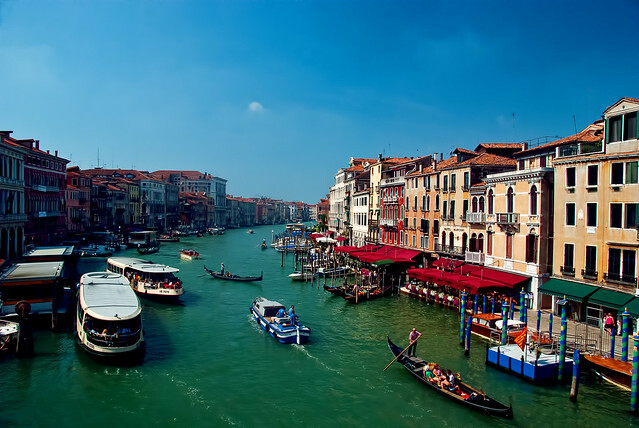 A canal tour may take nearly one hour and may cost 13 to 20 Euros per person. 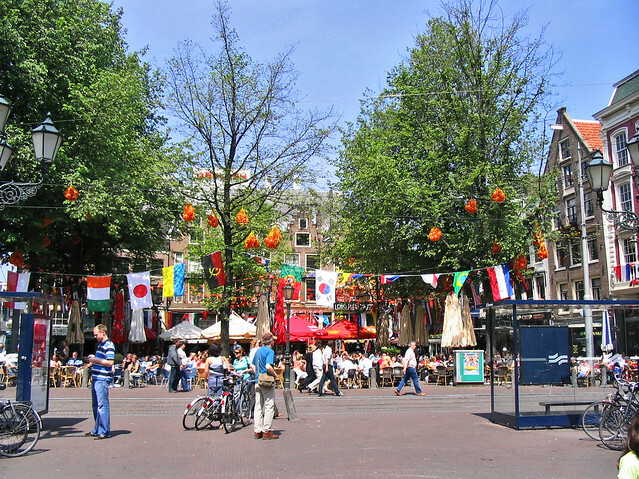 Leidseplein is a busy square at the southern end of Amsterdam's central canal ring, almost facing the popular Vondelpark. There are many exciting things to do in this square as the fun and excitement take a whole new level in the evening and nights. The square and side streets are packed with restaurants and nightclubs where you can have a full taste of Amsterdam’s nightlife. With this you can call it a day and head towards your hotel to rest and a nice sleep. The itinerary of the second day in Amsterdam should include Anne Frank House, Nieuwe Kerk, Van Gogh Museum, Begijnhof and Red Light District. 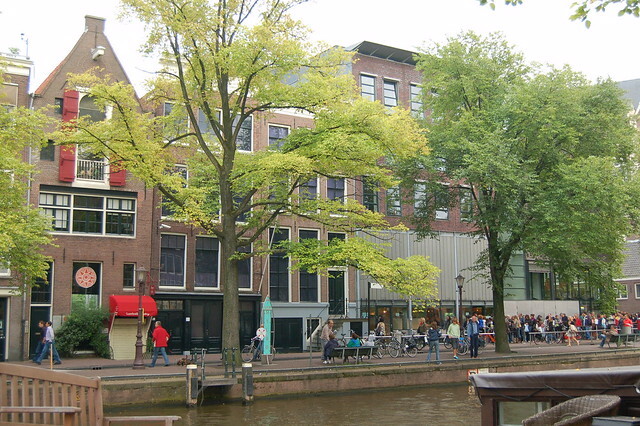 The Anne Frank House is a popular museum dedicated to Jewish wartime diarist Anne Frank, who hid from Nazi persecution with her family and four other people in hidden rooms at the rear of the building. The museum depicts the whole story of the two years of stay of Anne Frank and other people. A ticket to the museum costs 8 to 9 Euros per person. 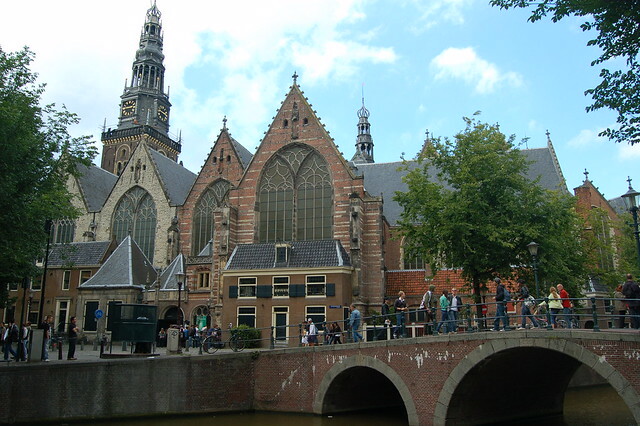 The Nieuwe Kerk is a 15th century church of a very high order. The Nieuwe Kerk is no longer used for church services but is used as an exhibition space. 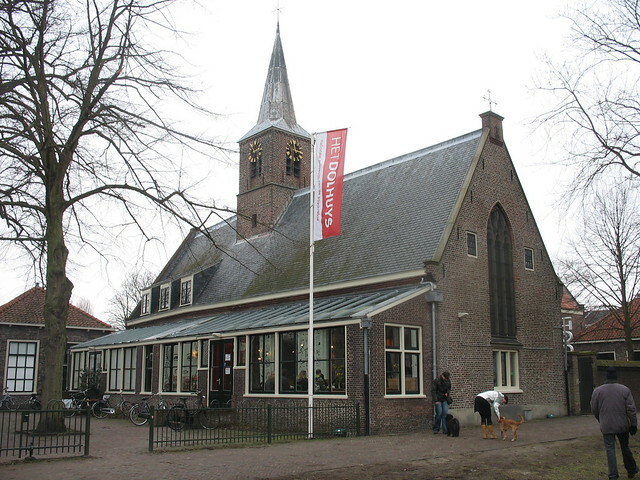 There is a café in one of the buildings attached to the church that has an entrance to the church. It also houses a museum store inside the entrance that sells postcards, books, and gifts related to the church and its exhibitions. 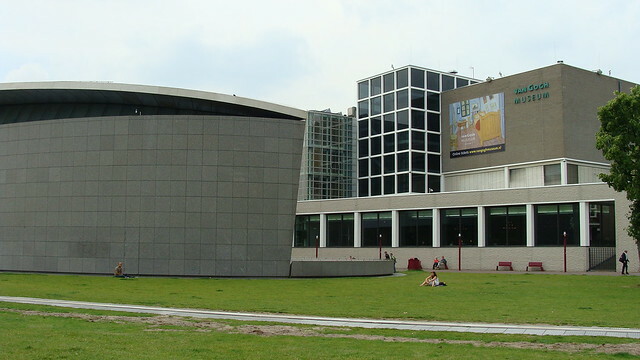 The Van Gogh Museum is known for its unique experience as it contains the largest collection of paintings by Vincent van Gogh in the world. The museum also houses an extensive offer of exhibitions on various subjects from 19th-century art history. An entry ticket to the museum costs 14 Euros per person. The Begijnhof is an enclosed courtyard dating from the early 14th century. It is one of the oldest and houses a group of historic buildings, mostly private dwellings, and centre on it. Presently it is also the site of the English Reformed Church. 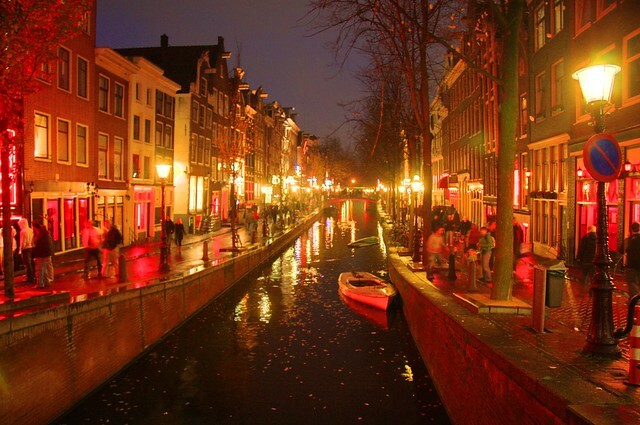 The Red Light District area offers the vibrant side of the Amsterdam. You can roam around in the lane like any other place. 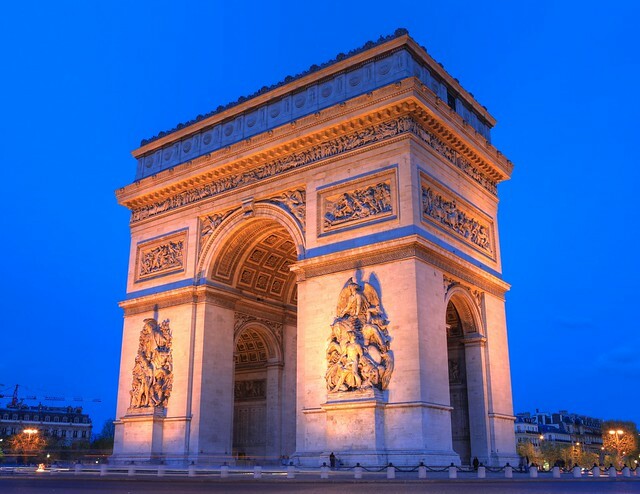 It’s the most famous attraction of the city and attracts many tourists from around the world. After visiting this you can return to your hotel for a nice sleep to refresh yourself for next day. 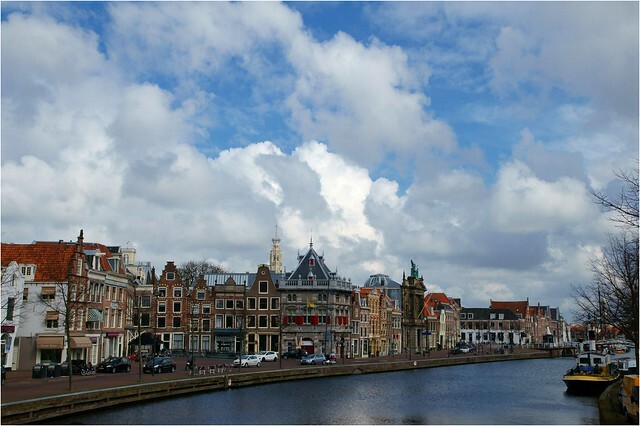 The sixth day of your tour should include a day trip to Haarlem, a beautiful city near Amsterdam. 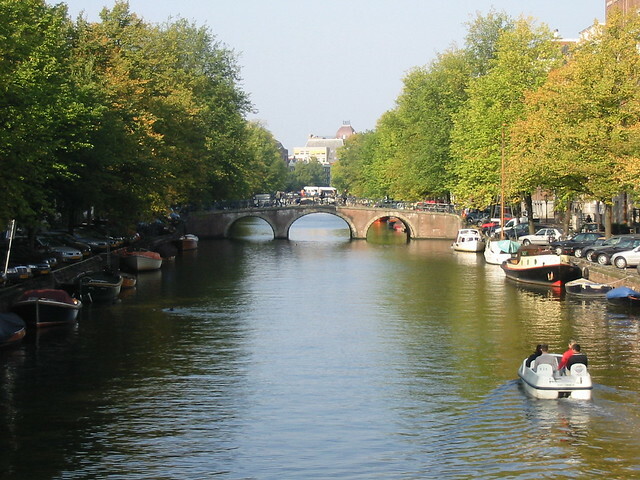 Haarlem is known as the small Amsterdam and is a famous destination for day trips from Amsterdam. As per the train schedule you will reach 08:23 in the morning. 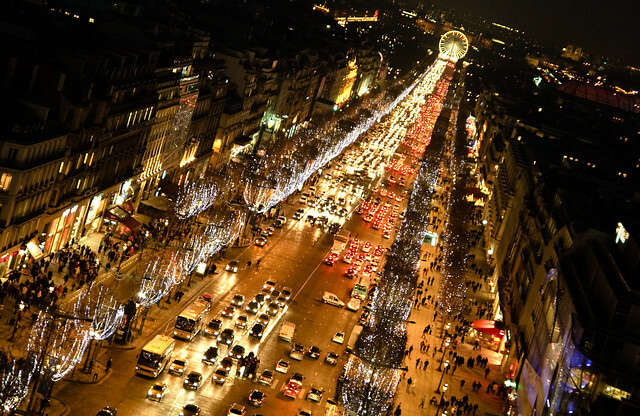 You can leave your luggage at some hotel and take a stroll around this city. The main attractions that can be covered in one day in Haarlem are as follows: Grote Markt, Hofjes, Teylers Museum, Frans Hals Museum and Het Dolhuys. You can take a stroll around the Grote Markt which is the central market square of Haarlem. It has a number of stalls, restaurants, pubs, museums and many more. The key highlight of this square is the Gothic Sint-Bavokerk (St. Bavo Church) known for its quirky interior details and world-famous Christian Mueller organ. The hofjes are immaculately manicured courtyards that are the pride of Haarlem. There are many famous hofjes like Bakenesserkamer, Bruinings Hofje, In den Groenen Tuyn, Wijnbergshofje and many more. 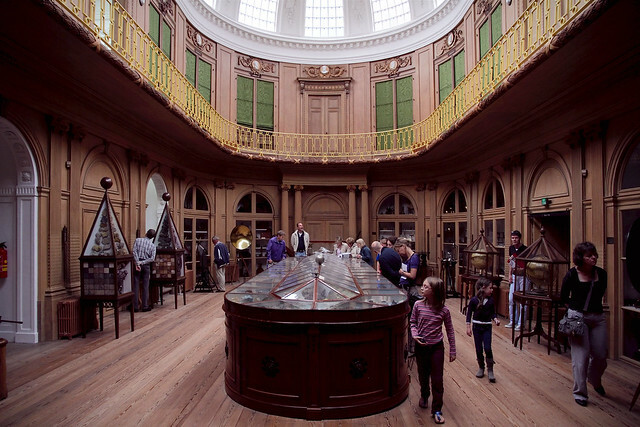 The Teylers Museum is the first and oldest museum in the Netherlands. 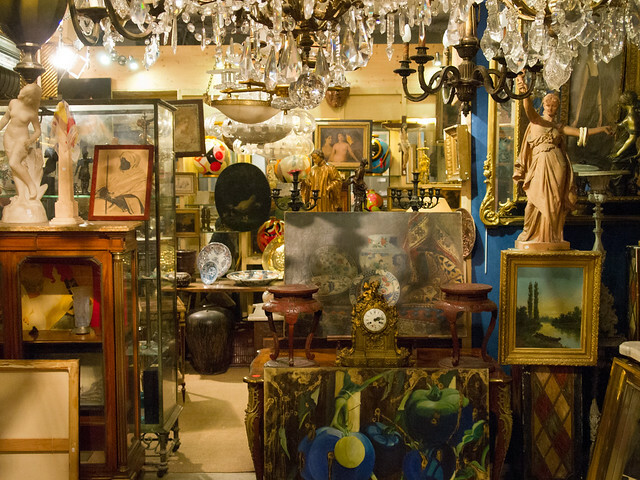 The museum is famous “treasure room for art and science" because of its eclectic permanent collection, from fossils and skeletons to Old Masters and much more. The museum remains open from Tuesday to Sunday from 10:00 am to 05:00 pm except Saturday amp Sunday it opens from 12 noon and it remains closed on Monday. 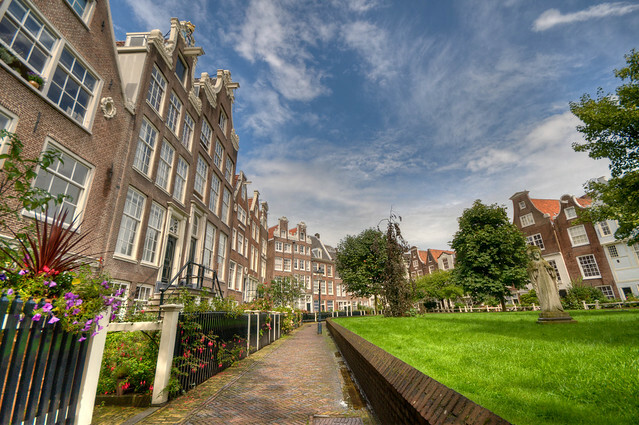 The Frans Hals Museum is a museum dedicated to the works of famous painter named Frans Hals. In addition to paintings by Hals, the museum also houses works by his predecessors and his contemporaries. The museum has furniture, ceramics, glass and silver on display. The earliest showcased paintings date from the 16th century and they are primarily biblical depictions. 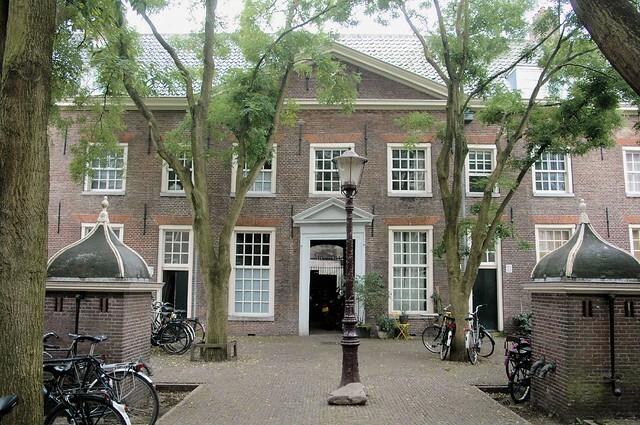 Het Dolhuys is a national museum for psychiatry in Haarlem. The mission of this museum is to explore the definition, perception, and boundaries of madness in its provocative temporary exhibits. This place is one of its kind and I would suggest you to do give it a visit. After covering these places, you can explore the city by yourself or you can even go for a biking tour of Haarlem and by the night return to Amsterdam as the next day you need to head to back to Kochi. 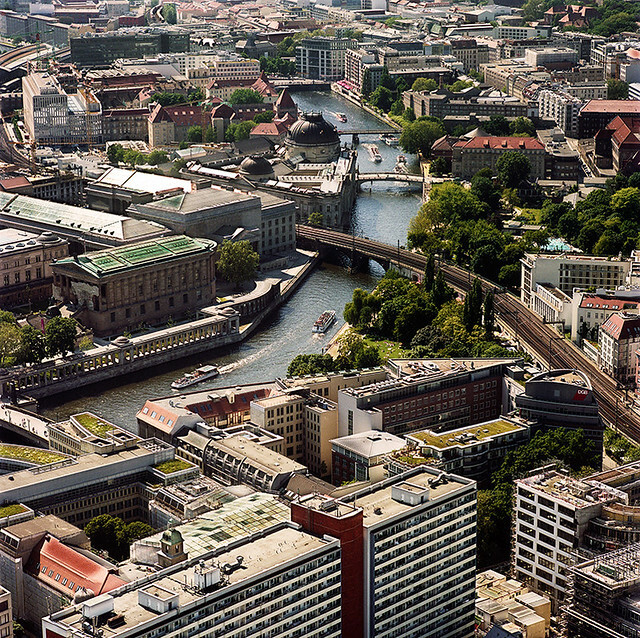 There are numerous hotel options in Berlin including Academy Hotel, Apartment in Kreuzberg / Friedrichshain and for more options you can visit here. 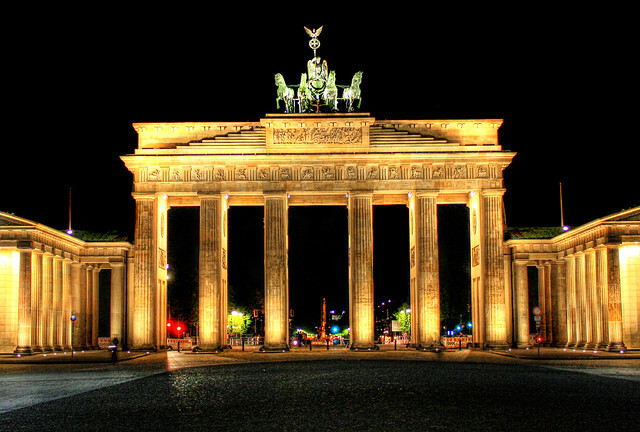 On the first day of your trip you can visit Brandenburg Gate (Brandenburger Tor) and Museum Island. After this you can return to your hotel for rest. 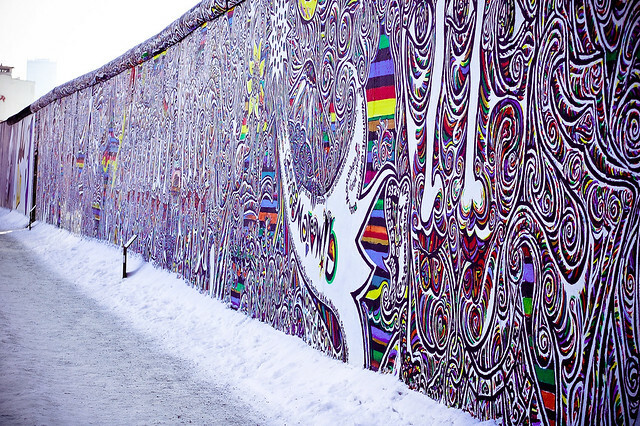 On your second day in Berlin you can visit Berlin Wall, Potsdamer Platz and Kurfurstendamm (Kurfurstendam). This is the last day of your tour in Berlin and on this day you can visit Die Hackeschen Hoefe. It is an old-town district, historically inhabited by Jews and French immigrants, Die Hackeschen Höfe was completely renovated in 1993. Today it's a residential and commercial complex, consisting of eight hidden courtyards filled with shops, galleries and restaurants. 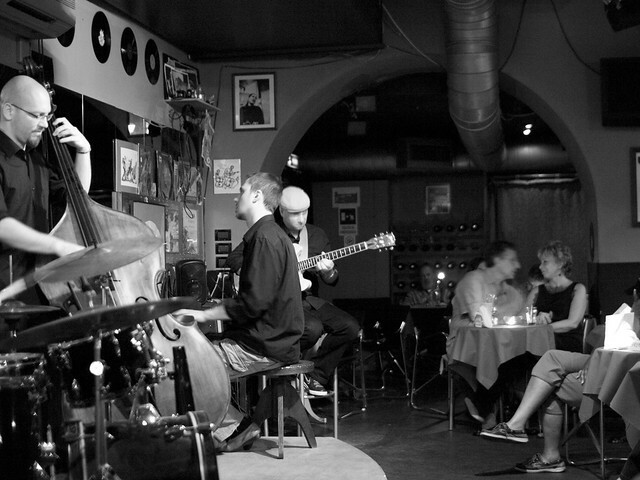 It's a popular meeting place for party-goers, artists, and also tourists. You can spend rest of the day at leisure and you can explore the city at your own. After this you can head back to your accommodation to rest as in the morning you need to head to Vienna. 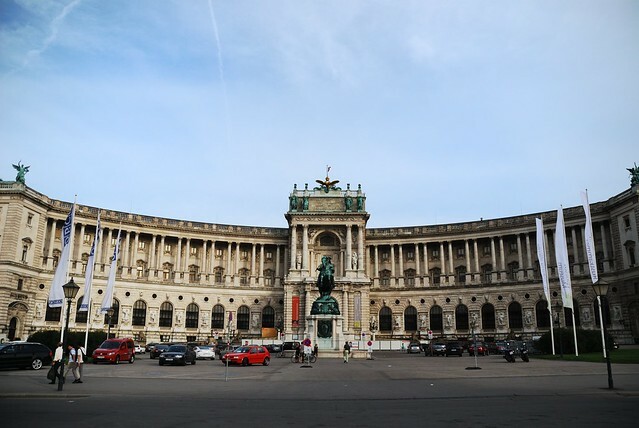 Vienna is the capital of Austria and it offers many tourist attractions. 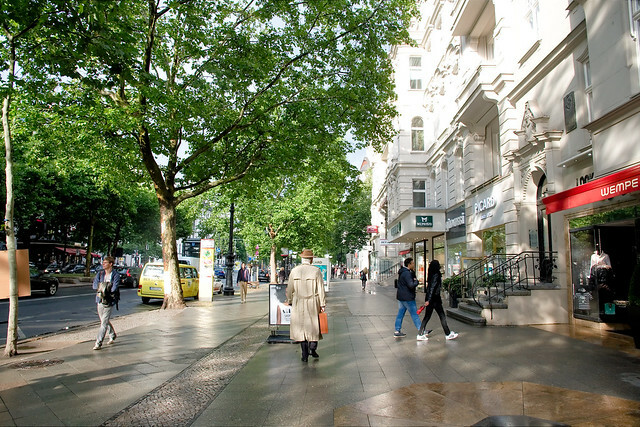 There are many hotel options in Vienna that includes Pension Stadthalle, Hostel amp Guesthouse Kaiser 23 and for more options you can visit here. On the first day of your trip you can visit St. Stephens Cathedral, Hofburg Palace /Imperial Palace, Leopold Museum and St. Charles Church. 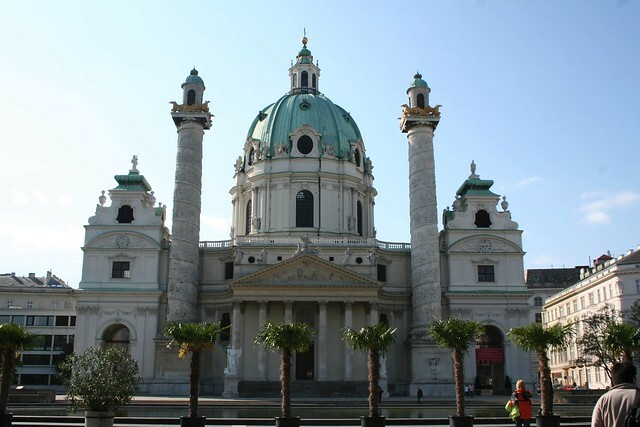 This cathedral is the most important and famous Catholic church of Vienna. 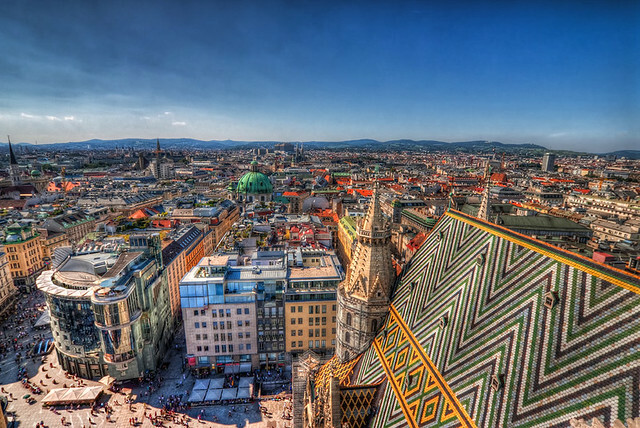 The main attraction of this church is its colorful tiled roof set in a diamond pattern and the two towers which attracts major tourists of Vienna. The other major attractions of this church are its tower and pulpit. The tower of the cathedral offers the panoramic views of the city. This palace used to serve as the residence for royal families for ages and now it has been transformed as a site that houses three museums. These museums portrays the traditions and life of the royal families. The exhibits include the decorations, furniture, tableware, utensils and many more articles of the Imperial Palace. This museum displays the largest collections of the Modern Art of Austria. 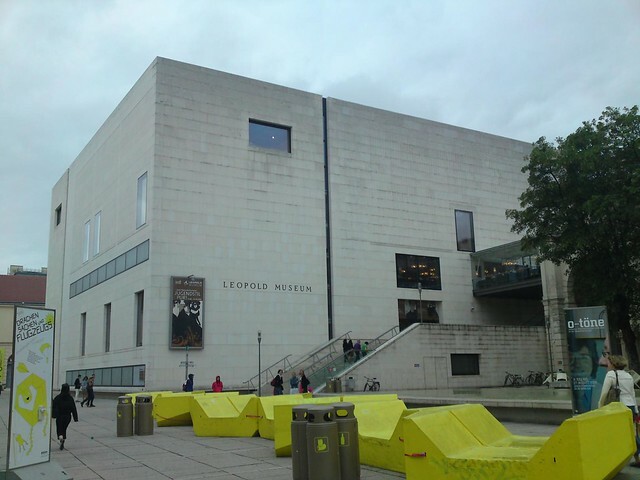 The Leopold museum is mainly famous for the largest Egon Schiele Collection. 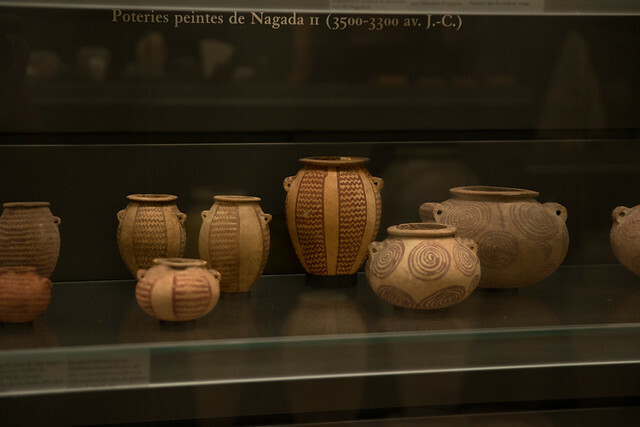 The collections of this museum consist of more than 5000 artefacts. 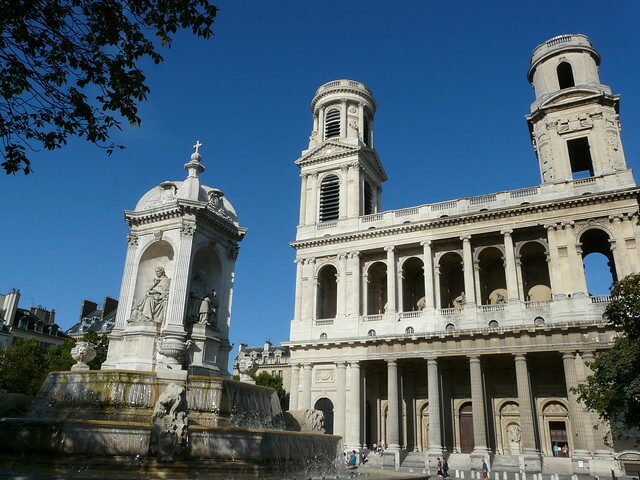 St. Charles Church is known for its baroque styled architecture. The church’s façade has two columns that portray the life of St. Charles Borromeo. The main highlight of the church is the altar that displays the painting of the saint ascending to the heaven. The itinerary of the second day in Vienna should include House of the Sea and Tiergarten Schönbrunn. 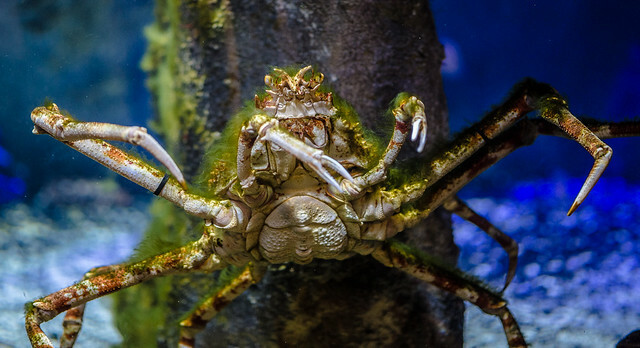 The House of the Sea is the Austria’s largest aquarium that displays various fresh and salt water marine creatures. The aquarium houses attractions namely Croc Park, Terrarium, Adventure Aquarium "Brandungsriff", Stalactite Cave Grotto and House of the Tropics. The aquarium also provides feeding sessions and guided tours. Tiergarten Schönbrunn is the world's oldest zoo is indeed an unforgettable experience, and one that no visitor to Vienna should miss. The zoo is the part of the imperial summer residence of Schönbrunn, a UNESCO World Heritage Site. It houses more than 700 animal species, some of them threatened, have found a home here and a chance for survival as a species. From A as in anteater to Z as in zebra: A visit to the Schönbrunn Zoo is a tour through every continent in the fascinating world of animals. See giant pandas, Siberian tigers, orangutans, and elephants, or immerse yourself in the Amazon and experience the tropical rain forest. After this you can also explore Vienna through the Horse carriage ride which is among the most popular activity in Vienna. 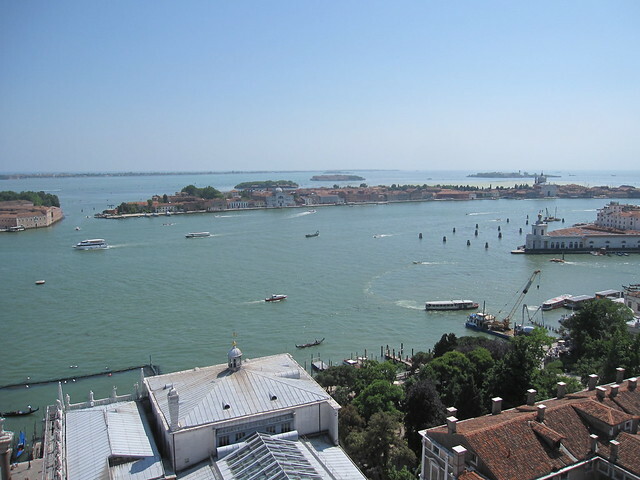 With this you can call it a day and return to your hotel for a nice sleep as the next day you got head to Venice. With this you can call it a day and return to your hotel for a nice sleep as the next day you got your early morning return flight. This is the last day of your trip you need to head back to Vishakhapatnam. Your return flight is scheduled in the evening so make sure you pack all your belongings carefully and reach airport three hours’ prior your flight timings. Day 5: Anne Frank House, Nieuwe Kerk, Van Gogh Museum, Begijnhof and Red Light District. Day 6: Haarlem: Grote Markt, Hofjes, Teylers Museum, Frans Hals Museum and Het Dolhuys. 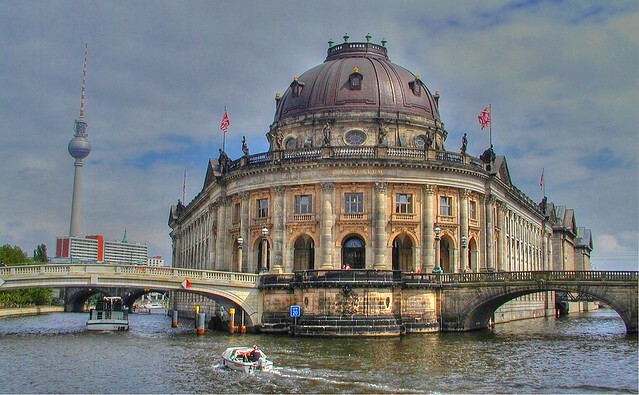 Day 7: Arrival in Berlin, Brandenburg Gate (Brandenburger Tor) and Museum Island. Day 10: St. Stephens Cathedral, Hofburg Palace /Imperial Palace, Leopold Museum and St. Charles Church. Day 11: House of the Sea and Tiergarten Schönbrunn. 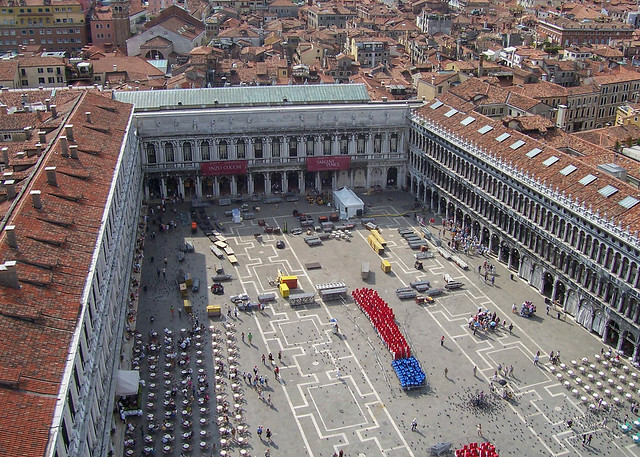 Day 12: Piazza San Marco, Grand Canal, Ca' Rezzonico and Venice Jazz Club.